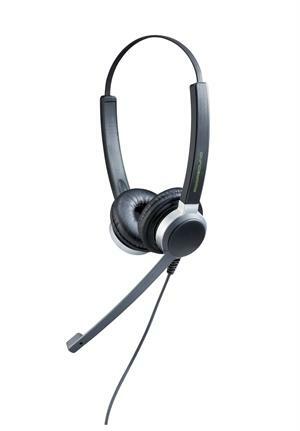 ADDASOUND Crystal 2802 a duo headset designed to meet the special needs of contact centers and offices. With professional acoustic engineering, our products deliver a high quality audio performance. In multiple environments, crystal-clear communication is ensured while your hearing is protected. The advanced ergonomic design of the ADDASOUND Crystal series allows you to wear the headsets comfortably over a long time, making your work efficient and easy. Soft protein leatherette cushions protect skin around ear and provide great wearing comfort and durable use.